Every game has its own set of bad mechanics that infest gameplay. Recently, Mayrin Hawke wrote an article about the competitive mindset and how players should aim to improve themselves in the game. Eve has its own issues with mechanics toxic to that competitive mindset. Often, these mechanics divert players into a dead end where the player becomes too reliant—or in some way addicted—on them, as they become the sole reason for their success and progress. Likewise, they can be a hindrance to the players who face them, thus skewing the outcome of the fight. EVE is deeply affected by bad game mechanics. Partly, this has to do with the age of the game, but the main reason is CCP’s inability to deal with them in time. Due to CCP’s failure with Walking in Stations (WiS) and the subsequent loss in players, they are now careful about angering the player base . In this way, bad game mechanics are allowed to linger and grow deeper into the game and community, thereby making it incredibly hard to weed out as it is the gameplay players know. Dealing with this type of problem often makes CCP extremely unpopular, as the solution usually involves nerfs to the play styles that take advantage of inherently bad systems. However, if CCP doesn’t deal with it, we can expect to see our game slowly corrode from within. Luckily, CCP has realized this and grown the balls needed to address the elephant in the room even though this means a massive amount of player protests. Over the past few years, they have dealt with many of the issues, but there is still a significant amount left, and one of them is the current state of warfare links. In my opinion, this is the next blight on the game CCP should deal with, but first, let’s take a look at how bad game mechanics have affected the game in the past. Before the changes in Phoebe, relatively small groups had a huge and oppressive impact on the PvP field. Eventually, capitals and supercapitals had their force projection nerfed, and large cap forces were no longer able to cover the entire map, giving much more room for smaller groups to participate. Although the force projection of capital ships was not a problem in the beginning, the rapid proliferation of these ships meant that one of the main balancing factors (their cost) was no longer relevant. Since CCP didn’t deal with it while it was still developing, it became a much larger and entrenched problem by the time the nerfbat finally swung. In most large-scale fights, the majority of the responsibility is placed in the hands of the FCs leaving little piloting for the individual players. Drone assist not only further shifted the responsibility but also made it a direct disadvantage for the individual players to involve themselves in the combat. With drone assist it was suddenly possible to deliver perfect volleys while diminishing human error and countering EWAR and low scan res. With the combination of this and the incredible strength and versatility of sentry drone ships, Ishtars and the like often ended up as the go-to doctrine for many alliances. This created a meta where people weren’t flying their ship, which ended up boring everyone and becoming extremely noxious to the competitive mindset. So CCP stepped in, first nerfing Ishtars repeatedly and then sentry drones themselves. The most recent toxic game mechanic to receive an arrow to the knee was the ability to easily warp a fleet on top of another with the use of on-grid combat probing. This meant that long-range sniping setups could be hard countered (especially battleships) by a single player with a set of combat probes. The exception, of course, was Slippery Petes, which are naturally hard to probe. While it is natural gameplay that some mechanics counter others, it becomes bad gameplay when there is no player skill involved in it. Spamming probes and warp does not involve much skill, especially when the FC could do it thanks to fleet warps, essentially creating the same problem as drone assist. One of the main issues that EVE currently struggles with is the alt problem. A fair amount of the gameplay in the otherwise rich and complex sandbox can often be bypassed by just having an alt, which lowers the interaction between players. Market alts, hauling alts, ganking alts and so on are everywhere. Alts in EVE work differently than many other MMOs for multiple reasons, the main one being the unique form for character progression. Removing alts would certainly shake things up, but this will never happen as they are such an integral part of the game. Some of these roles would be mind-numbingly boring if filled by individual players, for instance, the role currently filled by cyno alts. Although alts should be a part of the gameplay, there are also situations where they become too dominant in comparison to actual players and create bad game mechanics. EVE is a game that scales incredibly well with multiboxing. Multiboxing itself isn’t that big of a problem as there is a natural limit on how many clients among which a player can divide his/her attention. Unfortunately, programs like ISBoxer made it easy to multibox a ridiculous amount of clients as you could easily duplicate the commands across clients and still get near the full effect of focusing on a single client. Running 2 mining ships essentially doubled players’ yield and multiboxing two identical DPS ships in many situations had the same performance as two dps ships run by two players (unless we are talking about high level play). In most other MMOs this is simply not the case. 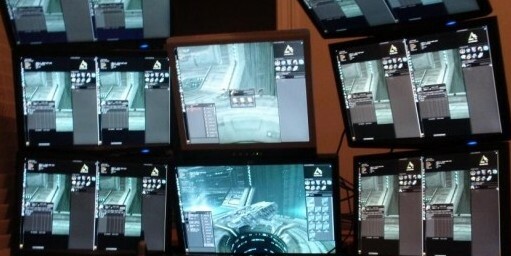 Each client will require unique inputs in most situations and multiboxing usually ends up as a gimmick. Another thing that sets EVE apart from most MMOs on this front is the PLEX system, which allows players to run many clients without having to pay all the subscriptions with real money. ISBoxing was oppressive both to the PvE field and PvP field. ISBoxed setups like mining fleets or incursion fleets could cause some severe competition against players who ran with one or few clients. It made it harder for CCP to balance these activities, and it drove PLEX prices up. 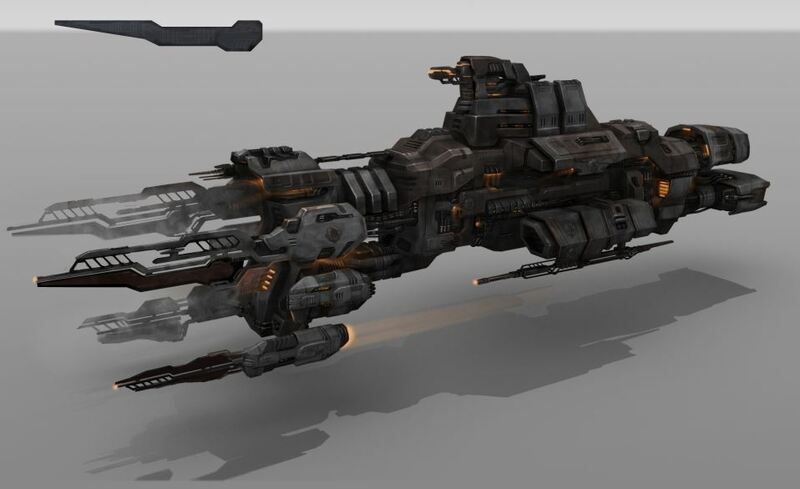 In the PvP field there were ships like Ishtars that could easily be multiboxed, allowing people to stack up larger fleets. But the biggest problem was still ISBoxed bombing runs where a single person could devastate large fleets making bombers extremely oppressive in nullsec blob PvP. While the ability for players to fight against superior numbers is great gameplay, it becomes bad gameplay when it is facilitated by ISBoxing, the massive AoE damage of bombs and low player skill. Likewise, PvE shouldn’t be about stacking as many clients as possible. I’m going to say this straight out: The current state of warfare link mechanics is incredibly bad for gameplay. I was once among the crowd that supported off-grid links and their mechanic. I supported it as it was a tool that small groups could use to fight against large groups; however, the truth is far from that. The fact that the game has boosting mechanics like that isn’t a problem. After all, it is common in MMOs to have support classes that give buffs. The way they work in EVE, however, is a problem. First of all, links promote the alt problem. Having an off-grid link ship is only suitable for alts due to its completely passive nature, but it is usually the best option for gangs. No one in their right mind would introduce a game mechanic which primarily uses alt accounts. CCP just didn’t expect it to turn out this way. As was the case with supercaps, off-grid links have undergone a considerable proliferation and are found everywhere. Where links were once something only used by the most dedicated and organized players, they are now almost mandatory in order to be competitive. The only way to deal with them (aside from just playing better) is by having either your own links or an alt (with a suitable scanning ship) to scan them down and gank them. In addition, it is incredibly boring gameplay to ferry an alt around and it gets even worse if you roam in ships with high warp speeds. People may see links as tools for small groups to fight larger groups, but in most cases links are used either as a crutch for bad players or as an extra boost for large fleets. When both the small and large groups got links, we ended up back where we originally started. Now, pilots and FCs use links as a substitute for actual player skills when they just want to prey on easy targets. If links were suddenly removed, it would separate the sheep from the goats as they create a severe problem for the players who are reliant on them. Good players, on the other hand, will be able to adapt without any problems. Links are just another tool in their arsenal, not a requirement for their success. There are already successful small-gang groups that are used to fighting without them. Since pilots use an alt account to provide off-grid links, they also don’t have any impact on the actual fleet composition. They can be applied to everything ranging from large organized fleets to single T1 frigs, and there are no ways to tell if they are present or not until it’s too late. In a game where killboard stats matter in most people’s minds, links are a touchy subject as it is hard to tell if pilot skill or the Loki sitting on station is the deciding factor in a fight. Therefore, links are often used as a justification in the typical mudslinging and smack talking in local, and the discussion about solo PvP and links could fill an entire article by itself. On the other hand, links in their current state are extremely inaccessible for players who still want to optimize their fleet but are not interested in investing in alt accounts. Although large fleets can have their FC in a command ship with links, it is rare for small gangs to have actual players fly with links on grid. One of the main problems is limited options. Not everyone can fly or afford command ships and they don’t necessarily fit smaller gang compositions with cheaper ships. Roaming gangs in particular struggle with the sluggishness and low warp speed of command ships. T1 battlecruisers are a cheaper alternative but struggle with the same problems and generally perform poorly in PvP (hopefully the balance pass will improve them), and since they don’t get any bonuses to their links, they will give an inferior bonus to the off-grid ones. Combat T3s with links are just bad for their cost compared to command ships. In FW space the problems get even worse as these ships will be restricted from most FW plexes. I could go on with reasons why links in their current form are terrible for the game as a whole, but I hope you are getting the idea from the brief thoughts I’ve shared above. Instead, I will refer to Suitonia’s blog, where he has some additional points from other perspectives. Likewise, I am not going to discuss any solutions as that would be an article in itself. Suitonia has suggested some changes that have both pros and cons to them. I am not sure how much CCP are working on links at the moment, but it is their intention to iterate on their mechanics. Rise told me two years ago that when they are done, we will barely be able to recognize them. It is safe to say that we are all interested in EVE becoming a better game, but we have different ideas about which path is the right one. It is hard to see it in a broad perspective, which often leads to bias from players who only push their own agenda. CCP’s inability to deal with bad game mechanics has made it even worse, but now they are working hard to make up for that. Links are, in my opinion, the next mechanic they need to look at as they are a major factor in the PvP environment and generally uninteresting gameplay. Our feedback is highly valuable, and CCP needs it. In order to provide good feedback, however, we need to understand their motivation for making changes. That means thinking big picture. So before your next angry post on the forums or threat to unsub, take a deep breath and think about the reasons behind the change and how it benefits the game in the broad perspective. Mizhir is a devout small gang PvP:er and EVE video maker, mostly known as the producer of the One Man Crew solo PvP contest. He flies with Turn Left.